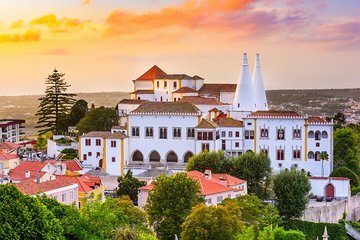 Take a break from the bustling streets of Lisbon to visit the World Heritage city of Sintra on a private day trip. Tucked into the forests of Portugal’s westernmost point, this one-time royal retreat is best known for the resplendent Pena Palace, which you’ll visit with a guide. Stroll through Sintra’s winding medieval streets, try regional specialties, and soak up seaside views on a personalized tour that makes it easy to enjoy these national treasures.